From finding the right educational system to providing them the best environment so that they evolve and develop, as parents, we are always thinking about the little ones. For us, children are the center of our lives and we leave no stones unturned to provide them the best in the world. However, with the growing concern regarding the deteriorating environmental conditions where air pollution is a major threat, every parent is sweating about ways to protect their child from the adverse effect of the ambient air pollution. Studies have suggested that the effects of air pollution are more on the school going children than adults. Every 8 kids out of 10 children are suffering from common health issues like a cough and cold, severe headache, itchy skin, and irritable eyes besides having cranky mood swings due to fatigue and tiredness. It is nearly impossible to keep the children indoors all the time as they need to release their energy through various outdoor activities. With this, however, they are also at risk of being exposed to a number of air pollutants in different concentration that has taken over the healthy air conditions. Children are usually more prone to the health risks from air pollution because they breathe in more air per kilogram according to their body weight. As their lungs are still underdeveloped, their respiratory system takes more toxins from the pollutants than the adults. Also, retaining them for a longer period of time affects their internal organs considerably. According to the World Health Organization observation study, 1 child out of 10 is born with severe bronchitis, asthma, or other respiratory issues which is why as a parent you should not neglect the current situation where invisible air pollution is a constant threat to the children. While we all understand that air pollutants have a significant impact on the health of our children, sometimes, we do not know the sources of the problem. Children being exposed to ozone can result in health problems relating to respiration and eyes. Long-term exposure to ozone can also reduce the lung function which can lead to various chronic health ailments. Inhaling carbon monoxide (present in the form of automobile exhaust, tobacco smoke, generator, and gasoline-powered equipment) is extremely dangerous for the kids as it prevents hemoglobin to carry oxygen through the body which under severe cases can cause untimely death. When we talk about pollution, indoors are equally polluted and it has the same capacity of posing health issues to the children of all age group. 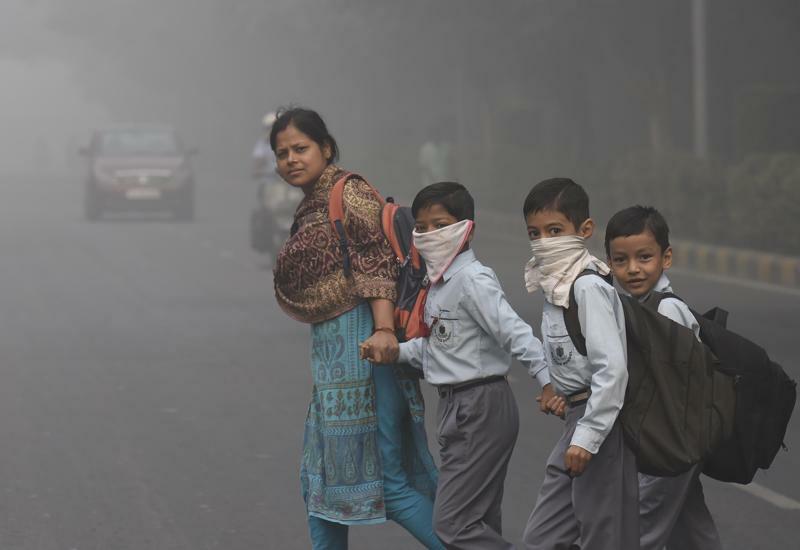 Problems associated with inhaling poor air quality among the children can be seen through an epidemiological study which suggests both short- and long-term exposure to ambient air pollution results in school absenteeism. With day-to-day changes in the air pollutant (PM 2.5, PM 10, SO2, NO2, O3) levels children are seen complaining about having a fever, a sore throat or other breathing issues. With the increase in poor AQI level, deteriorating indoor and outdoor air quality is a major concern for everyone. Exposure to poor indoor/outdoor air quality puts the young kids at a number of health risks including allergies, asthma, and other respiratory issues. Wearing an anti-pollution mask and getting an air purifier is one of the best ways to combat both indoor and outdoor air pollution. This article was originally posted on the Indian Express. How Outdoor Air Pollution Triggers Asthma?